The Chinese reclaimed the top spot on June's 'Top500' fastest supercomputers list with a system almost twice as fast as any other. China's new Tianhe-2 supercomputer officially became the fastest supercomputer in the world on Monday by blowing America's Titan supercomputer out of the water. 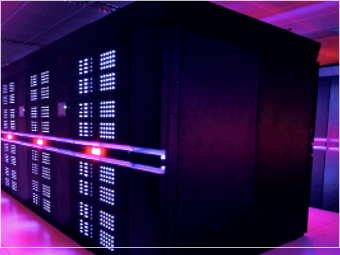 A group of computer scientists and engineers who twice a year release the "Top500" list of fastest supercomputers measured the Tianhe-2 at 33.9 petaflops (quadrillions of calculations per second). That's nearly twice as fast as the Titan, which was relegated to the second spot on the list. Also dubbed Milkyway-2, Tianhe-2 came online two years before expected. It was manufactured by China's National University of Defense Technology and will be relocated to the National Supercomputer Center in Guangzho in southwest China by the end of this year. NUDT has listed several possible uses for Tianhe-2, including simulations for testing airplanes, processing "big data," and aiding in government security. The last time a Chinese system landed on the list's top spot was in 2010 when the Tianhe-1 was ranked the fastest in the world.